Not using case studies in your content marketing and inbound marketing campaigns yet? For this reason alone you could be losing out on valuable leads and profitable sales. If you are in a position to get case studies to help support your case, you should be getting it done now. Even if you think you are not, you should probably be thinking of ways to make this happen. 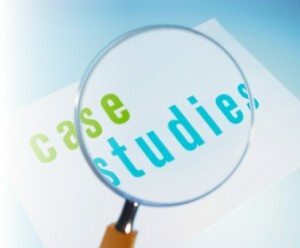 Why are case studies so important? Case studies for a brand just establishing itself is another way to also establish credibility. There could already be a well-known brand out there that offers what you do. Even if your price is lower, potential consumers are leery because they do not know you. Case studies can act as references and attest to your ability to deliver what you promise and satisfy your customers. Even websites where previous customers can rate their experiences with a seller based on a star system offer new customers some idea of what the seller is like. Case studies are how you assure newcomers that you took care of previous customers. Doesn’t this mean you will be bragging a bit? Of course it does but so what. The best part you aren’t “tooting your own horn,” so to speak. Someone else is offering up the praise, which also happens to be a lot more credible in the eyes of potential clients. Inbound marketing in which a company raves about how great they are but have nothing to back this claim up are less likely to see results. Besides the fact that content marketing can get stale; adding a case study is adding a success story, which everyone likes to hear. Draw in potential customers with the heartfelt success story of someone else who used what you have to offer and benefited from it. Connecting to the masses on an emotional level as well is part of what creates a positive brand identity and establishes brand loyalty. 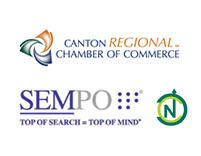 In other words that makes your inbound marketing and content marketing efforts a success. Make sure to keep track of positive feedback you get from clients whether it is one line as a comment on a blog post or a rave review via email. Encourage your customers to tell you how you are doing including having polls as follow up procedures after a transaction. This not only could lead to possible case study material but also gives you a clearer view of how your customers view your brand. As part of your poll, have a section where customers can leave detailed comments. If any of your clients contact you about something positive ask them directly, “can I get that in writing?” While people tend to talk up a bad experience they have with a company faster than a good one you can still encourage the positive feedback to come in. Above all else, treat your customers well and you are bound to earn those positive case studies and success stories to use as part of your content marketing campaign.